Dinner of Chic Chefs at the Piccolo Lago Hotel in Mergozzo. Marco Sacco, Rosanna Marziale, Domenico Cilenti, Mario Ottaviano and Andrea Ribaldone. I arrive hungry at the Piccolo Lago Hotel in Mergozzo, in the company of our dear friend Alessandro. Great culinary event of Marco Sacco and Carlo Sacco, the two brothers of the Piccolo Lago in Verbania, a dinner at eight hands with the illustrious guest-chefs of the group Chic: the beautiful and talented Rosanna Marziale of the Le Colonne restaurant in Caserta, the volcanic Andrea Ribaldone from the La Fermata in Alessandria (Spinetta Marengo, to be fussy), the concentrate and the sly Domenico Cilenti from the Porta di Basso in Peschici and the informed Mario Ottaviano from Al Trabucco in Peschici. Crackling gang of chefs, from Piemonte to Puglia, passing for the rich Campania. Marco Sacco is in China, but in his place is at the moment brilliantly entrusted to the sous chef Danilo Bortolin. Let’s start the belly dancing, which, alas, mumbles of hunger! Rosanna Marziale proposes firstly Friarielli in tile cottage cheese: the taste of Campania Felix that pervades the mouth, intense aroma of friarielli-turnip greens announcing a real pastoral poetry. A pastor who loves to paint! 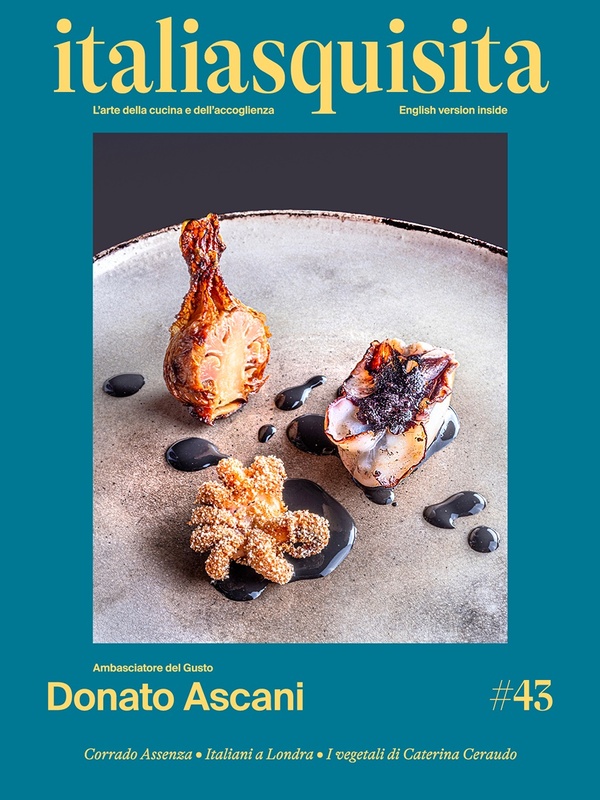 (www.lecolonnemarziale.it) The Hotel Piccolo Lago presents a plate of Marco Sacco, Cod with black leather with light bathes of banana. Sweet trials in the Baltic ocean, exotic and well-cooked cod. Tropical persistence, Asian reminiscences. (www.piccololago.it) Domenico Cilenti and Mario Ottaviano improvise in the kitchen, turning out some wonderful Paccheri in potato soup and Gargano lemon, tomatoes and tuna and mullet home roe. A pure and simply dish of the territory: sagacious for the roe, suave for the tomatoes, soft because of the paccheri, dreamlike for the lemon, wrap because of the potato. A tasty teleportation in the Gargano. (www.portadibasso.it) Marco Sacco, in the role of Danilo Bortolin, creates a Risotto Carnaroli, sausage and coca-cola really weird. A well-balanced experiment seems a game between the gourmet children. Arrogant at the beginning of the tasting, then playful, brilliant and aromatically extravagant. A lollipop risotto, where the Coca-Cola is actually restricted Porto with some spices (cardamom, cinnamon, etc.). I believe it, but I was not the only one. Last but not least comes Andrea Ribaldone, impetuous chef of the La Fermata from Spinetta Marengo. Here is the Compote of autumn fruits and vegetables with prickly pear sorbet and basil. While I am eating come to keep me company Heidi, Georgie, Alice, Pollon, all the heroines of the cartoons who happy run in the meadows. The dish is a vegetal and fructose shower, the sweet Garden of Eden before harvesting the fatal apple. (www.lafermata-al.it) Wow, what group those of Chic, when they meet they entertain the hungry throat! Congratulations to the owners, Marco and Carlo Sacco, and to the young and creative chefs.